Parrot ANAFI Review. 5 Reasons to Get it And 5 Reasons Not to. 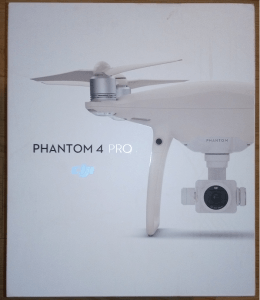 Ok guys, time for a review of a NONE DJI product (yay!) and this time it comes in the form of one of DJI’s main compeititors: Parrot. 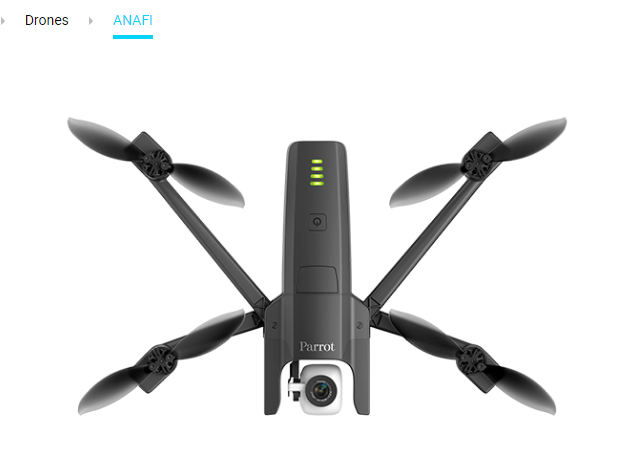 The drone I’m going to be reviewing will be the ANAFI model that was released a few months back. Size: Very small, portable drone. it’s slimmer in width than a cell phone, but longer in size. Camera quality: 4K @ 30 FPS with a 100 MBPS, also a 21 megapixel camera lens. Speed: A little over 30 mph. Flight time per battery: 25 minutes. Rating of product: 70 out of 100 points. This is honestly a good drone model, not great though and if you’ve never owned a portable one and/or fly well, I’d consider getting this particular model. However, read about the 5 pros and 5 cons in this review to decide if this is the model you want to get. 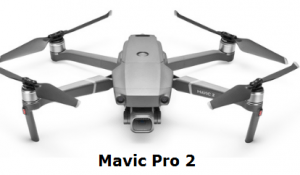 Here’s my recommended model for portable drones, the Mavic Pro 2. Any small, good drone model is going to have this perk but when it comes to the ANAFI, this has it’s own perks worth noting. For one, the case in which this drone comes in is very nice looking. If you own a Mavic Air like me, think of that case, but just more slim to fit that. Now let’s get back to the drone itself. As a whole, this thing is light, easy to carry within the case, easy to set up and it’s straight forward to fly with. 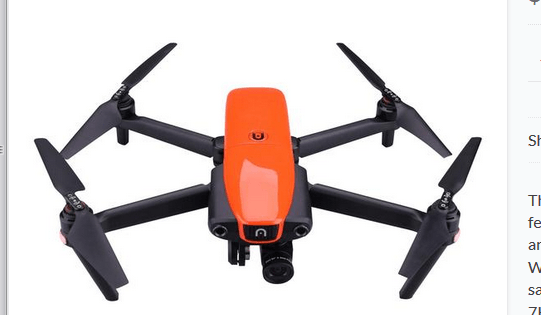 Head out to mountains or any other places where traveling on feet is necessary and this is a good drone to take with you as it won’t really get in the way and because it’s very light, you probably won’t even feel it. 2) It’s quiet. Very quiet. As of now, I think this model is as quiet as the Mavic Pro with the quiet propellers (or Mavic Pro platinum which comes with it). In this case though, the default propellers which come with the ANAFI are extremely light and wide, making them a lot more quieter to work with. I’ve always liked quieter drones because they bother people and animals less and I can get a much more good light going without being bothered by that annoying buzzing noise most models make these days, even the portable ones. I think as the evolution of drones continues, the next generation models will get quieter and quieter and ANAFI is certainly at the top as of now in that regard. Ok, so overall, the camera quality is great, on par with or possibly even SLIGHTLY better than the Mavic Air and Mavic Pro, but I’ll make the conclusion at a later post. What I can definitely tell you is that the difference in camera quality between these models is negligible at best, meaning, you will get great footage no matter which one you use and yes, I do know that there is a 21 megapixel camera on the ANAFI, but honestly, looking at preliminary footage, I hardly see any major difference with the competition. 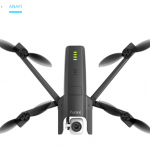 But the ace in the hole in favor of the ANAFI is actually the fact that it’s the ONLY portable drone on the market today which has a 180 degree camera which can actually point up. It’s such an obvious, yet awesome perk that I really wish I saw on my portable models. With the fact that you can actually AIM the camera up now, you have so many more flying possibilities. You can fly up a hill an film the footage as it’s going up (instead of only being able to aim forward and down on other models) as well as many other new possibilities. If Parrot got something truly right, it’s this awesome perk and I absolutely know future models will mimic this in some way. They have to, there’s just so much more marketing success if they do. 4) If you’re a first time buyer of portable drones and can fly well, consider it. Now let me make something clear from the above point: The people who NEVER owned a portable drone but have flown bigger ones are the people for whom this pro refers to. Think of people who flew Inspire, Phantom or Yuneec models. If they’ve never owned a portable model, but are in the market for one, their experience may make them want to consider the ANAFI. With portability and a decent camera, mixed in with good flight experience, the pilot may not even need the safety sensors which this drone does not have by the way. 5) The controller is good. At least better than the remote for the Mavic Air and Spark, that’s my opinion (the Mavic Pro controller is still better in my opinion because it displays more). In any case, this controller is comfortable, easy to set up and is great for beginners. 1) Back to the negligible camera quality when compared to other drones. I honestly see very little difference in the quality I’ve researched so far. As an owner of the Mavic Pro and Air, I have to say comparing the footage to the ANAFI shows me more sharpness in the Mavics. 2) I don’t get why they couldn’t put in a single safety sensor. Even the Spark which runs at $400 these days has 2 of them. Why couldn’t Parrot do this? Now look, it is well known to experienced drone pilots that sometimes safety sensors can actually be a hassle to have and in some circumstances can actually increase the odds of a crash happening, BUT it is still important to keep them around to turn them on when necessary. I’m an experienced drone pilot and let me tell you that I still make flying mistakes, for which I’ve either gotten lucky out of straight luck or the sensors saved me. Trust me, they are good to keep around. 3) $699 is a bit high. All you’re really looking at in terms of unique pros is the 180 degree camera as far as I see it. There’s nothing else about this drone which makes it so unique to justify the buy, especially if you already own one of the competitors in this field of portable drone. I don’t think I’ve ever heard of any drone company doing this until Parrot. There are intelligent flight modes on this thing, but they aren’t accessible/downloadable unless you make a purchase for each one as far as I know and this is a huge deal breaker for me. 5) It tends to drift, especially in wind. While it can take on decent wind speeds, the ANAFI tends to drift a little bit when it’s hovering in the air. Such a thing may cause issues for when people are trying to fly in the woods and the lack of stability when hovering may cause the drone to fly into a tree branch or rock. This is something I see as a potential issue for me personally since I love to fly in these types of areas. The overall conclusion: Should you get the ANAFI? My go to advice here would be to compare the pros and cons and make a little tally of which ones apply to you, then see if the pros win out or if the cons do. Either way, I am absolutely certain that as 2018 progresses, that there will be better models coming out of not just DJI but Autel as well as Yuneec. Who knows, perhaps Parrot will release a 2.0 model of the ANAFI with the improvements I hope to see to conquer those cons I listed. I can confidently say that other than the 90 degree camera being able to point up, I see nothing special about this model that warrants buying it when I already have good portable models as it is. And I know that we’re on the precipitous of seeing next generation models come out soon and that I know for a fact will be better than the ANAFI as well as any other existing portable drones on the market, though I still admit, I love my Mavics! Hard to Insert/Take Out SD Card. Requires $$$ to Get Flight Modes. Very good question, I honestly ponder why Parrot hasn’t done this as well. Maybe they are just looking to have a good footage shooting drone but are lazy in the safety department or maybe are trying to cut costs? I also have an assumption that they know that perhaps they know no matter what sensors they put in, it won’t matter because the market will be dominated by DJI presently and once it’s new models come out this year, it’ll inevitably cut the sales of Parrot and other competitors anyway so perhaps they are saving their efforts to see what technology DJI puts out and may try to invest the money made from the ANAFI into mimicking that technology to have an even bigger impact in the future with a new drone of theirs.